School’s out! Parents, if you're wondering what to do this March holidays, how about some much-needed rest and relaxation for the whole family? Phew...finally a break. The March holidays are fast arriving and you know what that means? Parents, you’ve successfully survived a quarter of this gruelling 2017! Give yourself a pat on the back. Cheers to those mad weekends chauffeuring your kids between countless tuition classes, and painstakingly revising mock papers with them late into the night. The kids would have just completed their mid-semester exams, so it’s time to reward them for all that hard work! Grab this chance and let everyone escape for some much needed rest and relaxation to recharge for the months to come. Here’s a list of staycation escapades that’ll keep your kids (and you) occupied this March holidays! 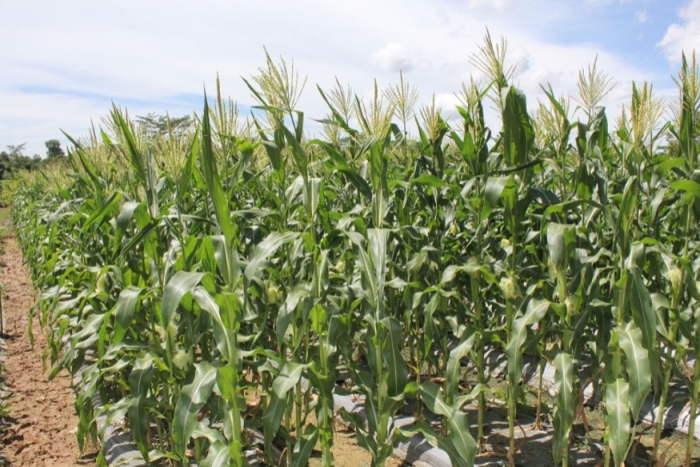 The March holidays are where the kids can finally enjoy some stress-free leisure. So why not treat them to a stay at Village Hotel Changi, where you can bond over some quality family time? 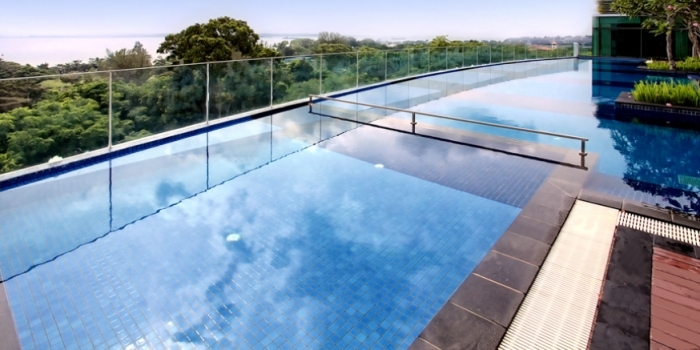 Instead of planning long overseas holidays, a short weekend getaway at Village Changi Hotel will do the trick! These luxurious rooms are perfect for some cosy indoor entertainment, watching TV or playing board games together. You can even enjoy a complimentary breakfast with your spouse at the distinguished Saltwater Café while the kids sleep in! With a slew of family-friendly activities all included in their Play & Stay Package, all you need to do is relax and enjoy. Challenge your kids at the bowling alley and have a great laugh seeing who’s best and lousiest at knocking down the pins. Maybe you’d even unearth a hidden bowling talent! If you wish to get up close and personal with nature, take bicycle rides along Pasir Ris beach or join a unique koi-feeding experience. 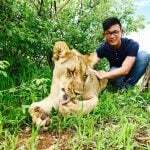 Definitely a must on your to-do list to give the kids a March holiday to remember. Jazz up your weekends with Village Hotel Changi's exclusive Play & Stay promotion! With room rates starting from as low as $170 for a Superior Room, $190 for a Deluxe Room, and $220 for a Club Room, there's no reason to resist. These attractive rates are inclusive of complimentary buffet breakfast for two at Saltwater Cafe, a complimentary two-hour bicycle ride OR 2 games of bowling per stay, complimentary koi feeding, and a complimentary Changi Village cycling reference guide! Sounds like the perfect plan for some family bonding time, no? 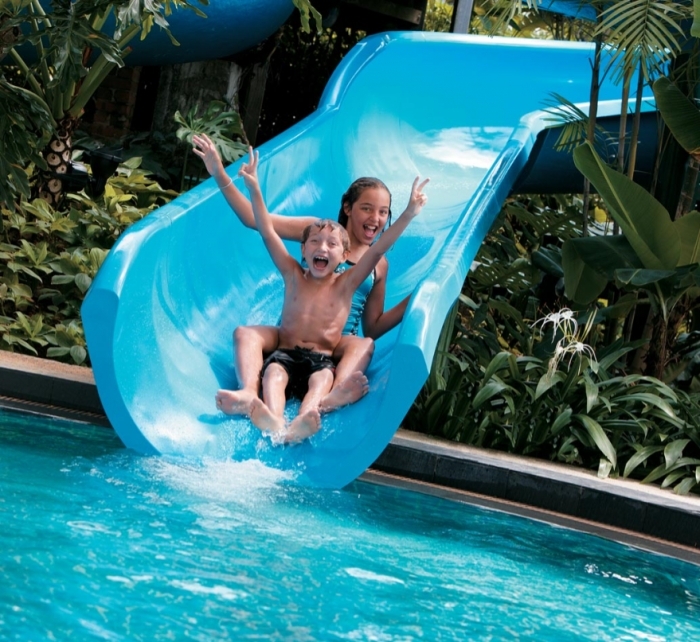 Grab your kids and head over to Village Hotel Changi this March holidays! 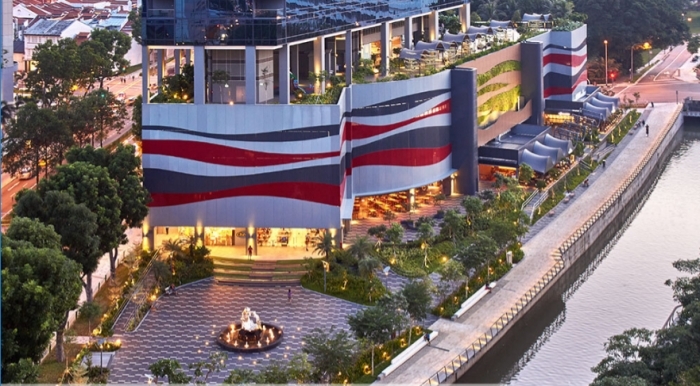 Everyone loooooves shopping so a stay at Park Hotel’s Grand Park Orchard is exactly what you need to indulge in some retail therapy, especially for all the moms out there. Think slick and modern luxury rooms, a plethora of amenities and the shopping epicenter of Singapore just footsteps away. Book directly from their website and enjoy amazing family deals like 50% off your 2nd room booking, complimentary kid’s meals and even a free stay for the little ones under 12. This way, all your savings can be used to reward your kids this March holiday! The kids will definitely love splashing around in the company of Orchard’s dazzling lights. Park Hotel Orchard also gives you complimentary smartphone service with unlimited free 3G data—the best way to keep any restless child occupied! Stroll out of the hotel and you’ll land right smack in Orchard Road’s shopping mecca. Full marks in the exam or not, rewarding your child’s hard work will definitely spur them on to do even better next time around! With retail havens like Tangs, Takashimaya and [email protected], you’ll be thoroughly spoilt for choice. Some say money can’t buy happiness, but SO Sofitel begs to differ. 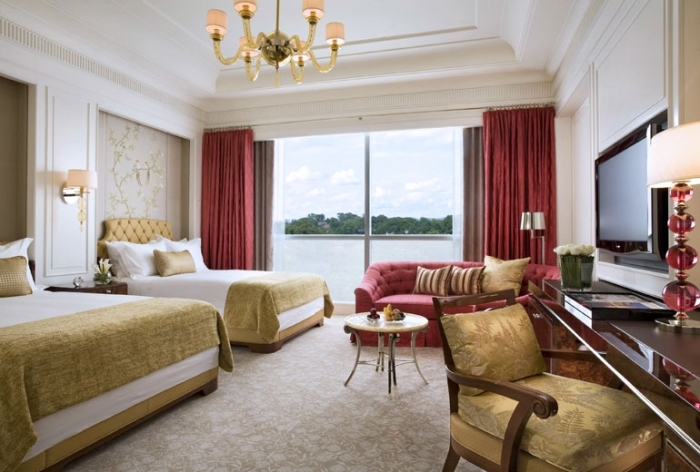 With its spacious and chic rooms adorned with grand classical furniture, expect to enjoy comfort beyond compare. 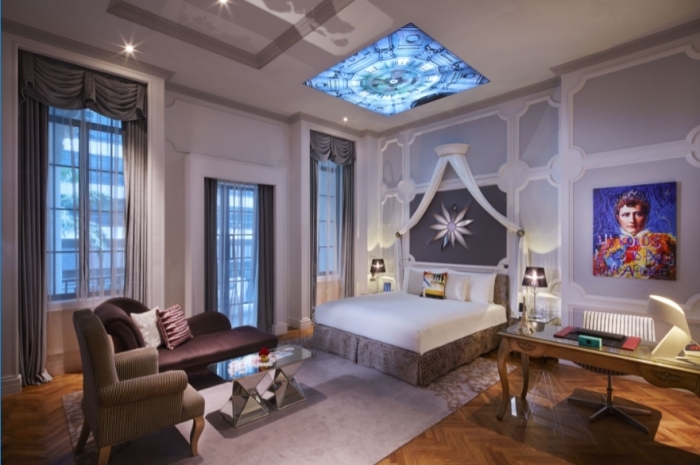 The ‘So Lofty’ suite from the ‘So Heritage’ wing comes complete with a humongous Italian Bisazza Spa Bathtub to match the fluffy soft and exclusive Sofitel MyBed and vibrant paintings. There’s even a built-in minibar to top everything off. An ideal place to pamper yourself and the kids? Yes, we think so! 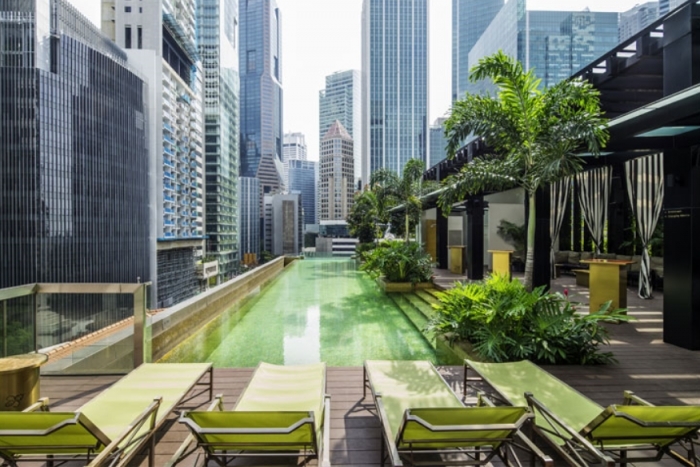 The kids can splash around the rooftop pool that also houses a bar for mummy and daddy to unwind amidst the chaotic hustle of the surrounding city lights. They even have private pits if you’re in the mood to whip up a mean barbeque for the family. Plus, there’s also a ton of activities nearby for the kids! Browse through magnificent galleries at the Asian Civilisations and ArtScience museums or immerse in local flavours at Chinatown. For shopaholic mothers, Raffles City is just a stone’s throw away and Lau Pa Sat will fill your hungry tummies with delectable delights when your kids get famished from all that playing. For a supreme hotelling experience of the highest quality, St. Regis Singapore undoubtedly lives up to (and we daresay exceeds) the lofty expectations that accompany its 5-star reputation. The first things you’ll see are the glimmering grand chandelier suspending from the high ceiling and intricate silk carpets hugging the winding staircase.This pretty much sets the tone for how fancy-schmancy you can expect the rest of your stay to be. 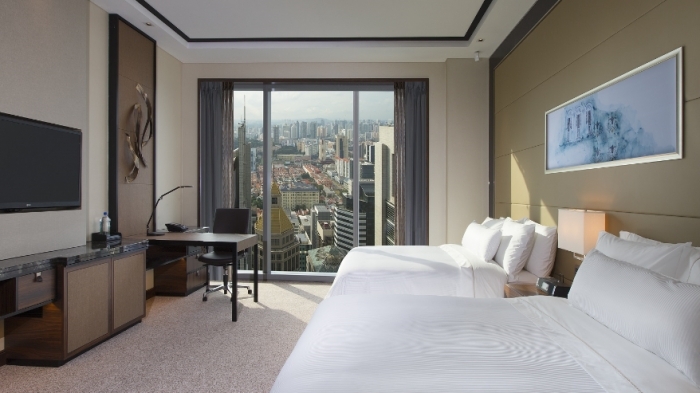 Enjoy comfort beyond comparison when you choose to stay at St. Regis Singapore, every room is so glamorously furnished that it’ll be tempting not to leave your room. 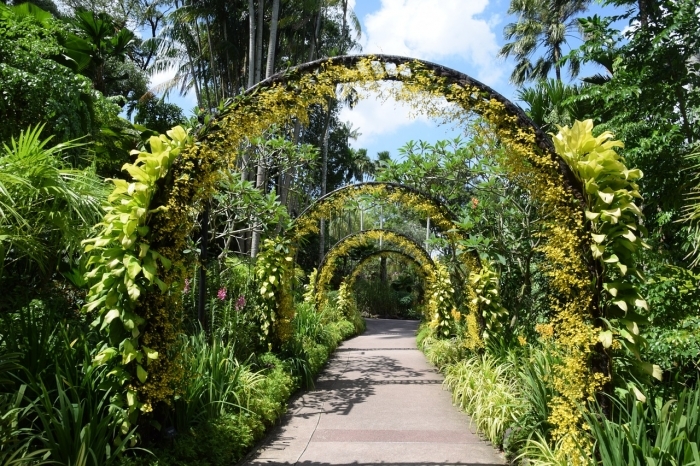 The hotel’s Nature Tour will take your family to Botanic Gardens for an eventful day; exploring the Jacob Ballas Children’s Garden and the Waterplay Area. They’ll even prepare a picnic for you! After your kids retire to their comfy beds, you can loosen those stress knots with complimentary access to Remède Spa and enjoy free reign of its whirlpool, heated reclining chairs, steam baths and more. You’ll even have your own personal butler rendering assistance at your beck and call! That’s a game changer right there. Parents, I bet you’re super tempted to book a stay there right now! Another one for the shopaholics! 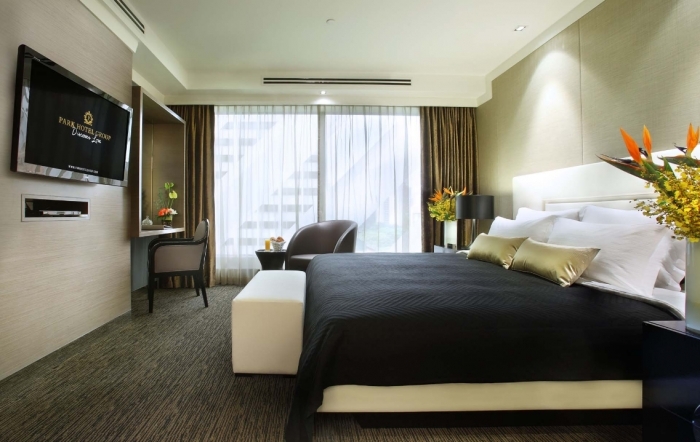 Holiday Inn at Orchard City Centre is actually located just off the main shopping district. This way, you can be close to the heart of Singapore’s shopping haven yet evade the sonorous bustle of its often congested roads. Each room is elegantly furnished with stylish yet cosy contemporary furniture, so you’re definitely in for a comfortable stay! Beyond your regular hotel amenities like complimentary wifi and a rooftop pool, Holiday Inn Orchard is also super kid friendly! Children under 12 stay for FREE if they share their parents’ room, and each room can be fitted with an extra bed so you don’t need to keep running between rooms tending to your children. Even better, up to four kids ages 12 and under can EAT FREE any time of the day in any on-site restaurant! Your little ones will be full and happy, while you parents will be overjoyed with all the amazing savings you get. There’s also a children’s playroom and movies for rent. If that’s not enough to occupy your kids, a walk down to Orchard Road will surely do the trick! There’s so much to do but so little time! The March holidays get so frustrating to plan because it’s hardly possible to fit all the activities you want to try into just one short week. But fret not, because D’Resort will solve those worries. D’Resort has a unique rainforest suite that’s perfect for the entire family! Check out those adorable bunk beds, with matching bedsheets to boot. And with a special kids check-in counter and welcome pack, your kids are in for an unforgettable time of fun! 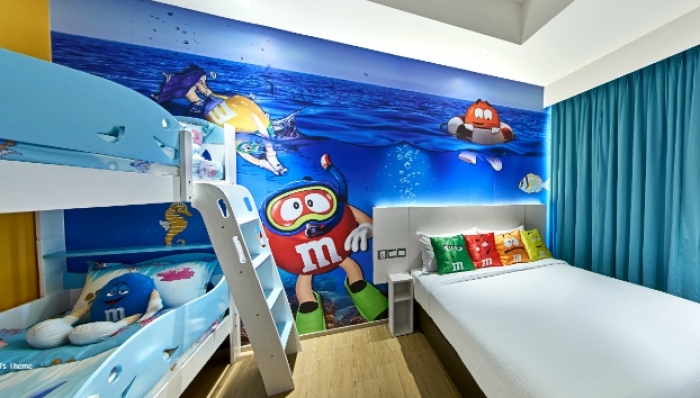 Aside from two themes – Amazonian Jungle or Underwater, they also have one room specially designed with an M&M's theme! D’Resort packs your staycation with a whole journal’s worth of activities and unforgettable memories. Kayak through the open sea to a floating kelong, or get creative at the Art Jamming class before climbing through a sprawling indoor playground with eXplorerkid. Beyond that, there’s even Wild Wild Wet to splash through and Pasir Ris beach for your dose of vitamin D under the sun, building sandcastles or cycling around. With D’Resort, there’s all this and more to ensure the kids squeeze out every bit of their March holiday and pass those post-March holiday class sharings with flying colours. What better way to celebrate the March holidays with your children than in a hotel that literally makes their dreams come alive? 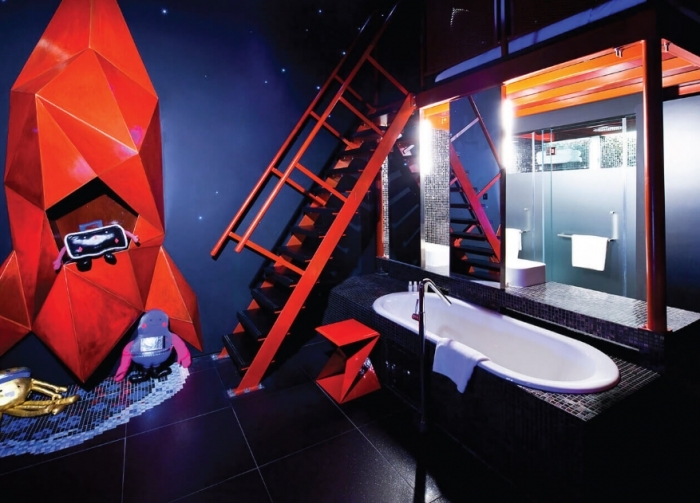 At Wanderlust Hotel, you get one of the most spunky and alternative hotels in all of Singapore. It’s almost as if these rooms came straight out of a cartoon show! Blast off in this crimson spaceship to a loft bedroom where you can fall fast asleep under a blanket of dreamy glowing stars. 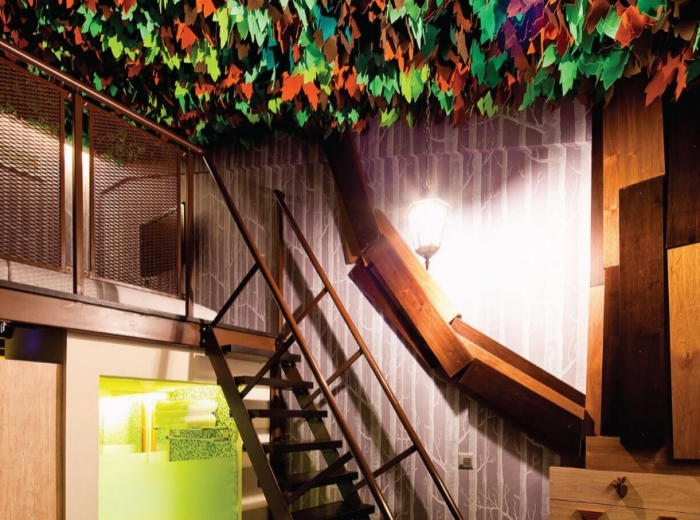 A treehouse will no longer just be a figment from your child’s imagination. With these and many other quirky rooms where fairytales come alive, this hotel oozes character and will surely be a hit with the little ones. With all the swanky hotels and resorts already dominating the list, we figured it was time to switch it up with an escape to a rural recluse. Bet you never thought of staying in a farm before, have you? If you’re looking for a change of scenery this March, then venture into the fringes of urban Singaporean life at D’Kranji Farm Resort, where you can get your digital detox whilst living the farm life. Disconnect from your usual fast-paced routines in rustic but immaculately furnished villas. 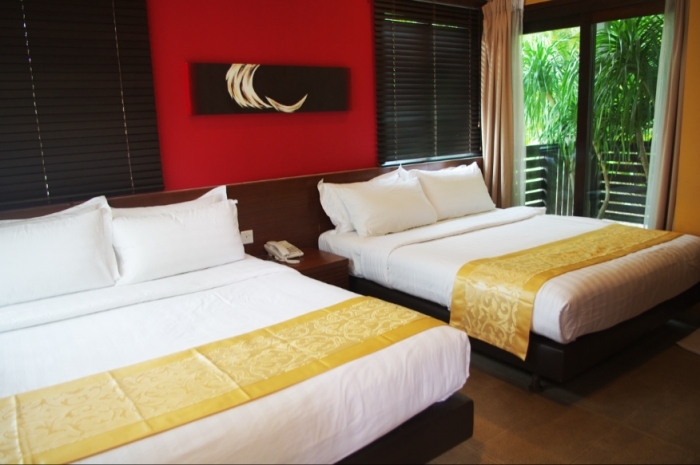 The Family Suite even has a personal karaoke set while the Executive Villa gives you a bubbling jacuzzi. With an on-site fishing village and nearby fruit farm for company, this is a great chance for your kids to escape the city life with some nature-loving activities! Everyone craves for that “unconventional holiday” these days. So you can one-up all your friend’s with a stay at Turf City’s colonial style Rider’s Lodge. What makes it so different, you ask? Horses. For the most laid-back outdoorsy experience, Rider’s Lodge puts you in the company of mild-mannered horses. 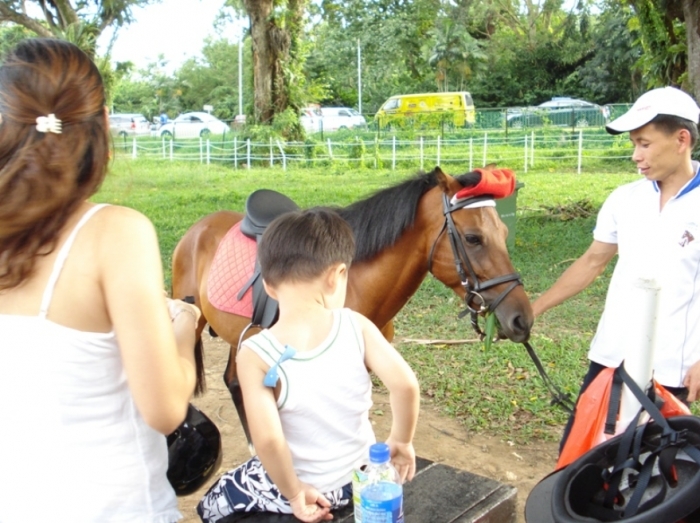 Learn how to horse ride while the kids saddle up on ponies or enjoy a delightful time attempting to feed them. The newly revamped Grandstand at Turf City also houses a wide spread of cafes and restaurants to choose from! A word of advice though, Rider’s Lodge only has 40 rooms so if you’re eager to pay it a visit, be sure to book your accommodation in advance. 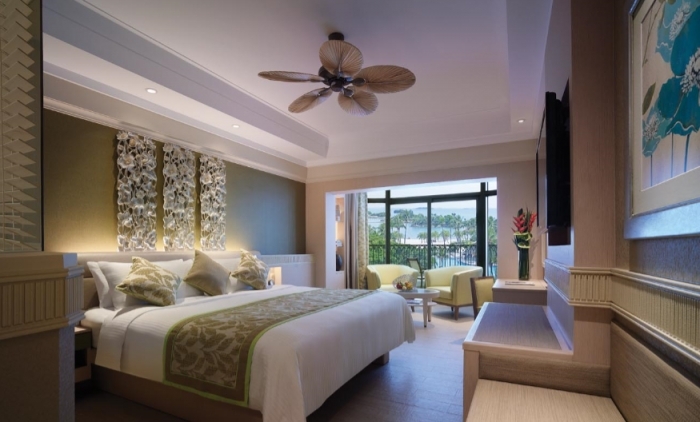 Get your beachwear and sunscreen ready, because Rasa Sentosa right by the edge of Siloso Beach is another hotel you should be bookmarking. Boasting a luxurious beachfront paradise befitting of its ethereal namesake, this resort will satisfy all your summer cravings. Settle for a soothing sunbath because the kids will be busy with a host of activities! From indoor arcades to outdoor playgrounds and exhilarating pool slides, Shangri-La’s Rasa Sentosa has activities in its ‘Cool Zone’ to occupy kids across all ages. There’s even a ‘Toots’ and ‘Mini Toots’ club with a jungle-themed play area for toddlers! Whether it’s a bumbling, gibberish-mumbling toddler or an energetic teenager, Rasa Sentosa will give your kids all the fun-in-the-sun they need. Literally check into the clouds with Westin’s hotel lobby on the 32nd floor, the highest in all of Singapore. Better yet, every room will give you panoramic views of the city skyline to die for. Your kids are bound to squeal in absolute delight, the moment they check out the breathtaking view! 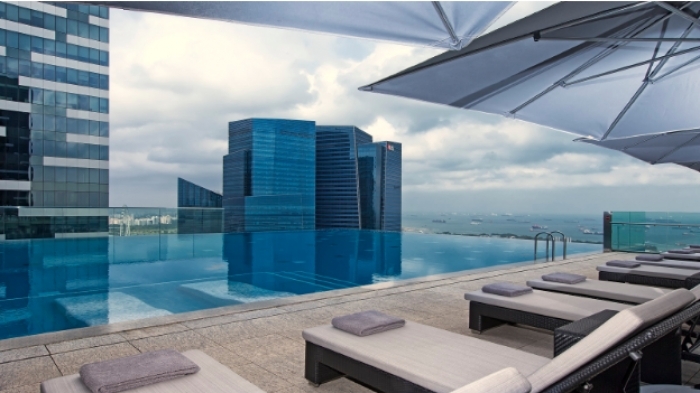 Step aside Marina Bay Sands, because The Westin Singapore has an infinity pool of its own! 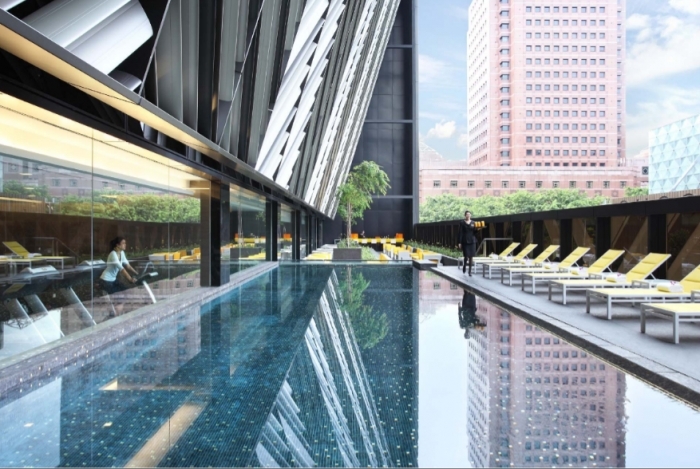 Head for a refreshing dip with the kids on the 35th floor, where everyone can unwind to an enthralling sunset. They even have a relaxing pilates core mat class for all guests every Saturday...could you get any more zen? Sounds like a perfect de-stress session for you parents! Treat yourself to a Heavenly Spa armed with aromatherapy, steam baths, a whirlpool before taking everyone for an excursion to Gardens by the Bay! If you’re looking for a value-conscious hotel staycay, give Hotel Boss a try. 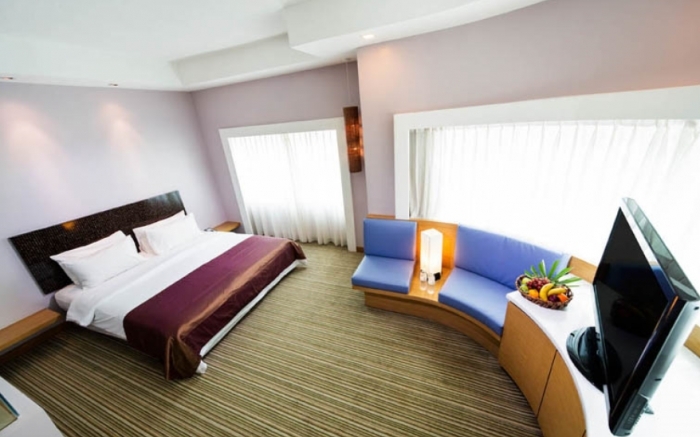 Nestled between HDBs and quaint shop houses, Hotel Boss is just minutes from Lavender MRT and will give your family that cosy heartlander vibe without feeling too much of a pinch. With rooms starting from just S$92++ per night, it’s super affordable to bring the whole family on a March staycation. Don’t worry, because you’ll definitely get all your standard facilities like a swimming pool and indoor gym. There’s even a secret garden trail for the kids to explore! 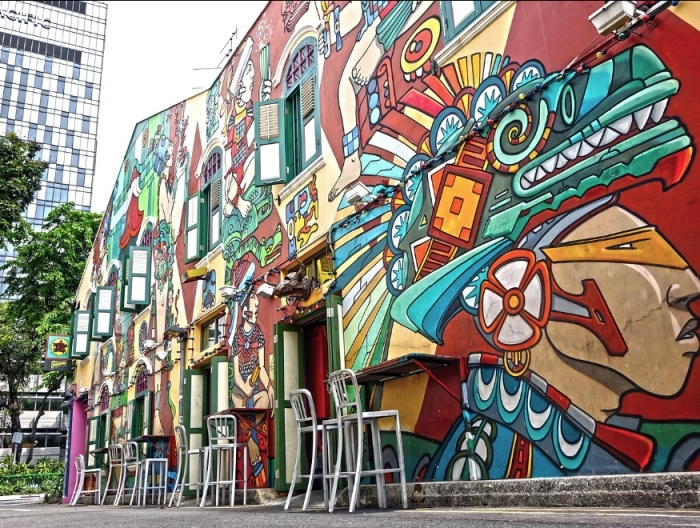 With various surrounding landmarks, you can bring the kids on extended excursions through the art murals of Kampong Glam and the bevy of artisan cafes in Haji Lane before some good ol’ bargain hunting at Bugis Street. With all these zestful and and exciting staycation ideas, who says you need to stress over planning for some elaborate overseas vacation? All you need to treat your kids to an unforgettable March holiday, is right at home.